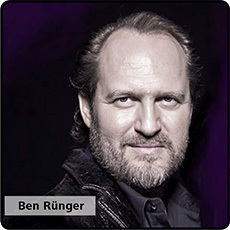 Ben Rünger spend most of his professional life with strategic enterprise development, design thinking, and the development of unique market cultivation models. He managed major projects for strategic corporate development and positioning of international blue chips and renowned family enterprises. He holds an academic degree in Design. Spin-Off, strategic development and positioning of a leading specialty chemicals player. Design of unique market cultivation model leading to market leadership and market share of more than 25% in global personal care market. of largest global chemical company.